Using the vehicle of a fashion business, (including a clothing label, retail shop and café), to create meaningful social change. 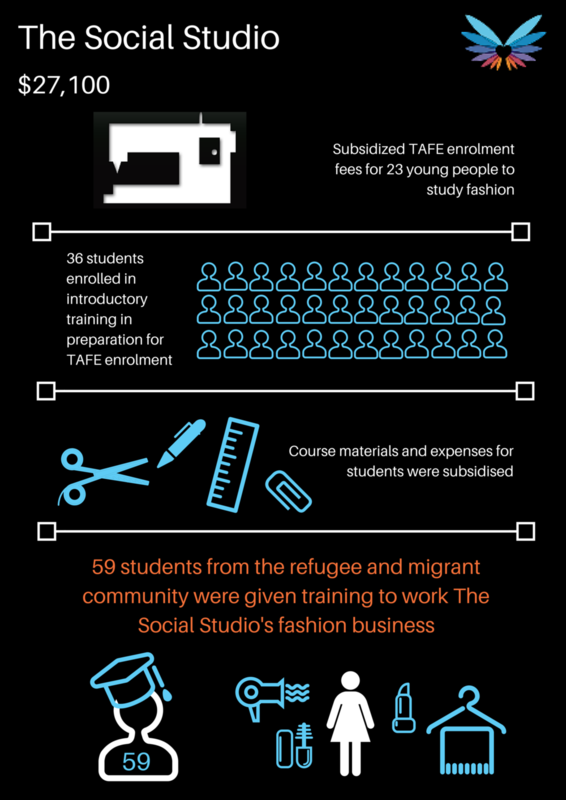 The Social Studio provides TAFE level training, work experience and employment to members of the refugee community who have experienced barriers to mainstream education and employment. Presenting at TFN’s Melbourne giving event on 3 June 2014, TSS pitched for $10,000 to provide training materials and subsidised enrolment fees for 15 young students to study TAFE training in fashion - and raised $27,100 (including $13,550 in matched funding from Creative Partnerships Australia). 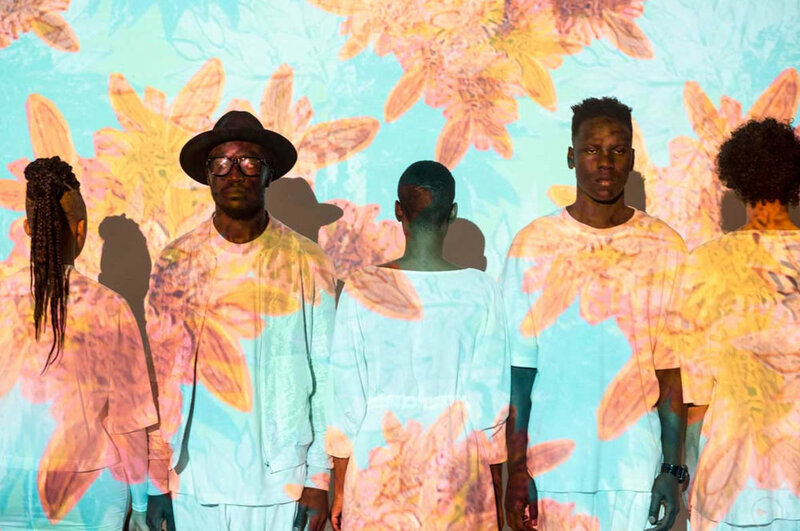 A tapestry of shared stories, skills and social cohesion, The Social Studio welcomes young people from refugee backgrounds and new migrant communities with an interest in fashion, textiles and hospitality. Along with an education and real prospects for employment, TSS offers a voice and a means by which individuals from minority groups and/or with limited English language skills can engage and express themselves. With this funding, TSS has been able to support substantially more students than originally planned – 23 are currently enrolled for TAFE certification and a further 36 enrolled in an introductory program in preparation for formal training. The TAFE course runs over 18 months: 13 of the students are looking forward to graduating in December this year with another six graduating in June 2016. Considering that 25% of young people from refugee or humanitarian backgrounds exit mainstream education before completing HSC, makes the prospect of such success particularly exciting. Sui: “My dream is to become a fashion designer and to help other people realise their dreams”. Lony: “I like being a part of this class. Even though we are all from different backgrounds, everyone is friendly to one another, I’ve made new friends and have been able to learn about other people’s cultures”. Weaving a blanket of support and a warm welcome for the styles and skills of a diverse Australia, TSS has embraced fashion and hospitality as the means to educate, upskill and create positive social change. The organisation has capitalised on participation in the TFN funding model for its own capacity development too: in addition to funding support for emerging artisans, key TSS personnel attribute presentation and networking skills acquired through pitch training and preparation for the TFN event to an increased confidence and efficacy in their own engagement with TSS stakeholders and supporters. Learn more about The Social Studio.